Press Cancel to kill the program"
I'm running Windows 7 64-bit. Yes (that is why I included the first image). Also, after the first run I've changed the 'Format' setting back to Hebrew and it still seems to work. Is there any chance that the problem would be fixed in a future version? Are you getting the same issue? Yes, but it is solvable through the mentioned means, so it doesn't bother me personally. I simply thought that a fix (which doesn't seem too complicated in this case) would benefit the software, as most users probably wouldn't bother searching for a solution, but instead give up and look for an alternative. 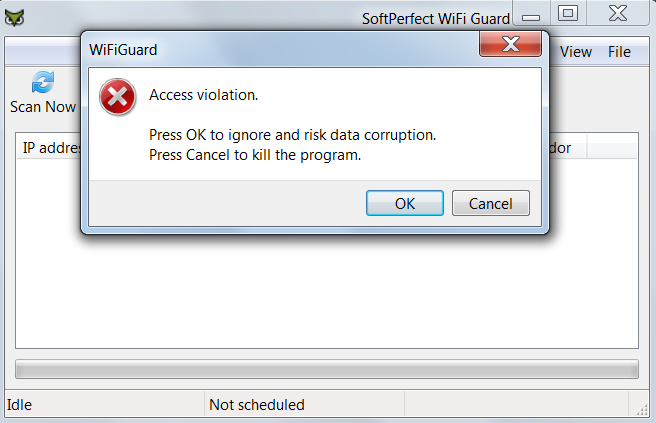 It seems to be an issue in the development environment that we use to build WiFi Guard. I'll check what we can do about it. Thank you for the update (1.0.4), your effort is much appreciated. WiFi Guard is written in a development platform called Lazarus. 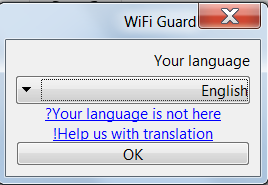 One of the components that the WiFi Guard uses is called TCheckGroup, which seemed not to handle right-to-left languages correctly when its alignment was changed from a default value. So once we had changed the TCheckGroup's alignment back to the default value, the issue was gone. Apparently it's a bug in TCheckGroup's implementation, but I am not so sure where it is.